There are few people who have the power to choose what they wanted to do truly. The others are doing just for sake of money. I was reading a book “Big Bucks” and there was a topic about this. Author pointed out that mostly we do not take work as play and fun but yes, we take as pressure and deadlines. We are in hurry to reach 30 or 31st (Don’t tell me about February as I consider it as Valentine month. Everyone is waiting for 14th Not 28/29th 😛 ). But you might consider worth looking at your past life and take those days when you really enjoys the work or doing something. If you deeply go and see those days, you can reach on conclusion that yes, those were the days when you take the work as fun way rather than working for money or pressures. Money is altogether important though and I am not telling you about FUN without Money ( currently considered so called most valuable things 🙂 ). But, whatever your work is, just don’t start of with the negative emotions and feelings. Take as it would be a fun, great fun. Plan and execute in such a way that the people around you likes doing the work instead of procrastinating. There are always problems, either big ones or small ones, either more or less, but obviously problems are there. Situations differs, project differs but your attitude towards the things to be done should not. Sometimes, It might take more time to complete the things then you have thought of. But if you go with right attitude and FUN feeling, then probability of doing the things great way increases. At last it is more important that how you feel rather than how someone makes you feel. This book is really nice and simple. 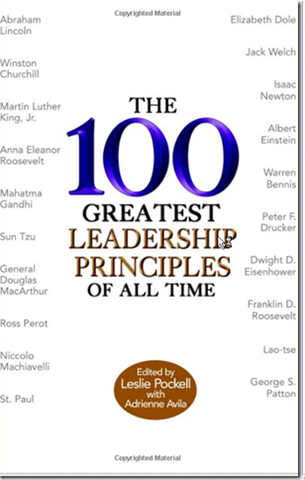 It contains great quotations of the qualities that leader has. It is categorized well. I think everybody should go through the list once. Each one is jewel in itself.